With our exceptional well trained call center agents on hand 24/7/365, you can count on us for all your telephone answering service needs. Avoid losing customers. Potentially save $2600/month versus hiring staff. Get your customer calls answered no matter what, even for unforeseen events in your location. Whether you need after-hours answering, call overflow, holidays and weekend coverage, or even phone coverage during your normal business hours, we will get the job done quickly, and get it done right. Our award-winning answering services are known for flexibility in customizing products and services to fit your business’s needs. Live telephone answering service is available 24/7. Use us as your after hours answering service or to handle your over-flow calls during the day. Our Answering Service Plans work with both cell phones and landlines. New and existing customers call because they want to speak to someone now. If they only end up in your voicemail, they may call your competitors for help. Our live agents can answer their calls for you and take the messages, alerting you of any urgent and high priority calls. Avoid losing customers that hang up on voicemail. Use our live answering service to answer the calls, handle the messages and schedule your appointments. AnsweringServicesUS is a service of AnswerNet. AnswerNet is not only award winning telephone answering service, but also provides many business outsourcing products and services that help things run more efficiently. Services can be added or can change to accommodate your business. Hire Us as Your Answering Service. Save on Staffing and Office Space Costs. Employing just one full-time 40 hr/week receptionist employee can easily cost well over $2800 / month in wages, benefits and office space rental. And this cost does not include the costs of office equipment, furniture, supplies and utilities. And one receptionist is never enough. You still need an answering service for 24 hr phone coverage, weekends, holidays and whenever your receptionist is busy, sick or on vacation. Compare that to AnswerNet's typical answering service customer who on average spends $167/month for 24/7/365 round-the-clock phone coverage. That's less than $6 per day for round-the-clock coverage and over $2,600 in savings each month compared to hiring a receptionist employee. AnsweringServicesUS.com is a service of AnswerNet. 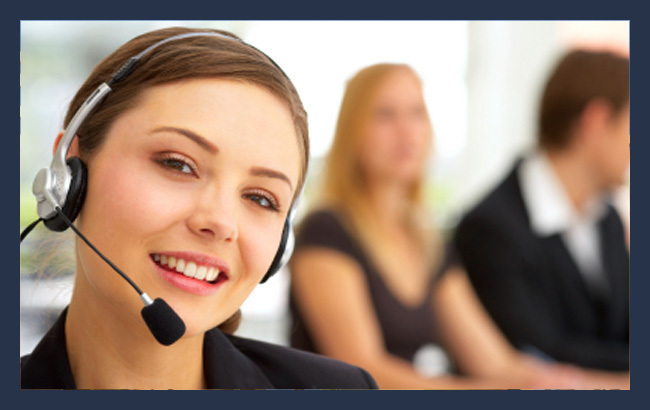 AnswerNet has over 25+ call centers throughout the United States and Canada. With such a large network, your phone calls can be answered by a call center located nearest to you. Our call centers serve all US locations including your location. Our call centers are all equipped with disaster backup capabilities and call re-routing to secure your critical data and keep your business running—no matter what. This ensures that if an unforeseen event or natural disaster occurs in your location—calls can be quickly transferred to a safe location. This allows our agents to answer important customer questions and keep your business running smoothly. While many answering services claim to provide nationwide coverage, AnswerNet is one of the few providers that actually has physical call center locations nationwide and can provide this level of reliability. Sign up for our Free Answering Service Trial, check out our simple Answering Service Pricing Plans or contact us for a free consultation to customize services to your business needs.